Many times the injury in a medical case is not the fault of a physician, but of the defective drugs or devices the doctor prescribes. When this happens, Watts Law Firm, P.C., is ready to seek compensation for Vermont residents for these negligent acts. The product is defective because of an error in the manufacturing process. The product is dangerous because its design is flawed. The product is dangerous because users are not warned of possible negative effects. If any of these conditions exist, the maker of the drug or device is liable for harm caused. It is possible to seek and obtain compensation even if the manufacturer was unaware of any danger. Care in manufacturing and labeling does not exempt manufacturers from claims. Medical devices as well as medicines cause harm. There have been many recent lawsuits involving components of artificial knees, elbows, hips and ankles. Cardiac pacemakers have often failed catastrophically. Other common defective devices include orthopedic hardware and cosmetic implants. You have heard of drugs that were the targets of widespread lawsuits: Accutane, Advair, Xenical, Rezulin, Avandia, Meridia, Fen Phen and Propulsid. Many other drugs are also under suspicion for causing injury. A side benefit of your claim is that it will spread the word that these medicines and devices can cause others great harm. Many people are uneasy taking on a large pharmaceutical company. But with an experienced defective drug and medical device lawyer on your side, you are within your rights to protest the harm that has been done to you or a loved one. We will seek maximum compensation for you, to pay medical bills, replace lost wages, and as recompense for all you have been through. 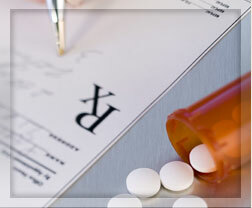 Has a loved one of yours been harmed by being prescribed dangerous drugs? It's time to hold the negligent party to account. Contact Vermont defective drugs attorney Norman Watts at (802) 457-1020.